Membership is open to all current MBA and EMBA students. Throughout the academic year, CSIMA hosts a variety of professional, educational, and social events centered around the investing community. The annual CSIMA conference, which takes place in February of each year, brings guests and speakers from around the world. Past keynote speakers have included Bill Ackman, Joel Greenblatt, Bruce Berkowitz, and Bill Miller, among many others. 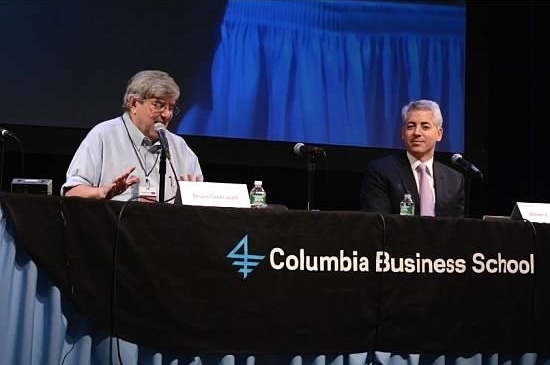 Each year the Heilbrunn Center and CSIMA host a conference on Value Investing at Columbia University. The conference provides an excellent opportunity to hear from some of the top names in the investment management business. CSIMA has prepared information for incoming students how to best prepare coming into your first year at CBS with helpful materials, FAQs, and contact information for incoming students. CSIMA is one of the largest clubs at CBS and offers members many opportunities to further their interest and skills in the investment management industry.